Streetdirectory.com Ang Mo Kio Industrial Park 1 is located in Ang Mo Kio district. A large residential estate, Ang Mo Kio is filled with Singapore HDB flats and littered with condominiums. As such, there are many public schools and institutes of higher learning such as Nanyang Polytechnic. There are gardens all over, such as Ang Mo Kio Town Garden East and Ang Mo Kio Town Garden West, which provide recreation. Alternatively, you can watch movies at one of the old cinemas in the district. 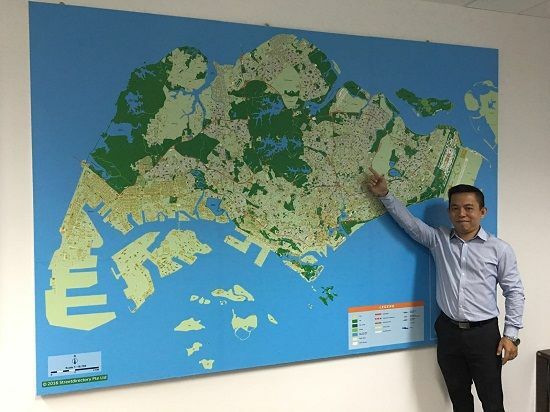 There are also industrial areas here, such as Ang Mo Kio Industrial Park, which concentrates on heavy industry and technology.